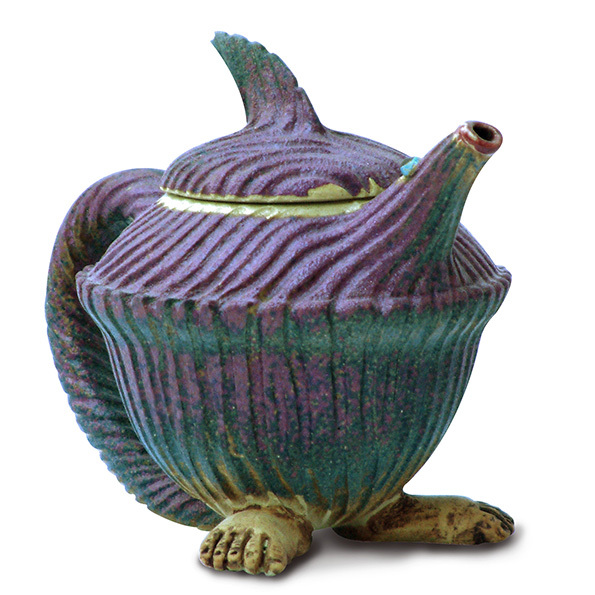 Traditionally shaped teapot in shades of pink, purple and blue with a humorous twist. 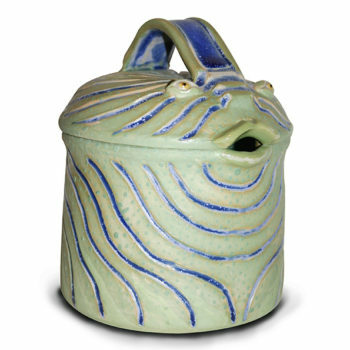 The teapot has human feet attached to it and little eyes by the spout. 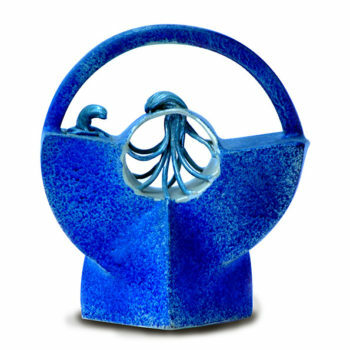 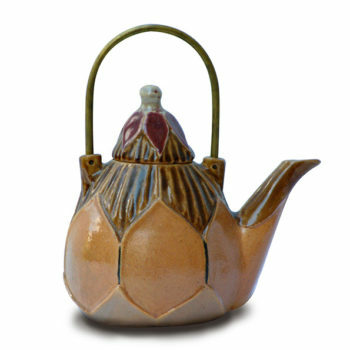 Traditionally shaped teapot in shades of pink and blue with a humorous twist. 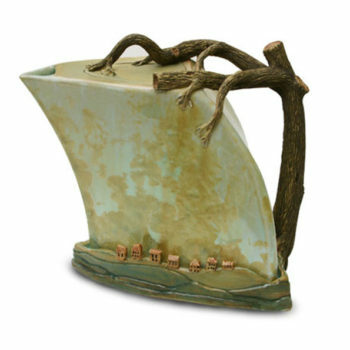 The teapot has human feet attached to it and little eyes by the spout.